The study of mind and behavior, Psychology has been a really important field of study in various parts of the world over the many past years but unfortunately, not much emphasis has been given on it when it comes to our country. But despite of getting a late exposure, the good thing is that people of Pakistan especially the youth has finally started to take Psychology a serious field of study and now with the passage of time, more and more people are choosing it as a professional career because it not only let’s you help other people but also to earn money while doing so. 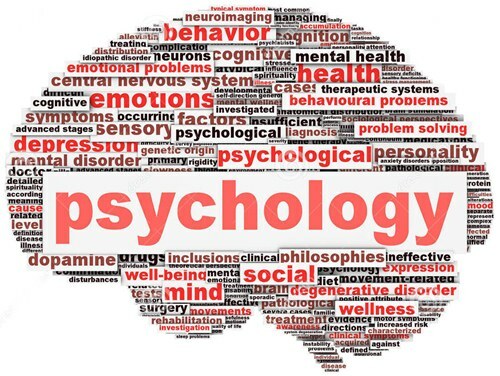 Just like everything else, first understanding what is Psychology and what are the areas that this field of study deals with is extremely important as one has to be extremely conscious while making a decision about the field in which he/she wants to pursue the professional career in because a small incorrect decision can result in loss of many year’s long efforts. Psychology is a field of study which deals with the study of mind and behavior. Often referred as a social/behavioral scientist, a Psychologist tries to understand the role of mental functions in a individual and social behavior as well as explore various concepts like emotion, motivation, cognition, attention, brain functioning, intelligence, personality and interpersonal relationships. A Psychologist uses all of his knowledge and skills to bring a positive change in the life of people whether it’s about helping them in overcoming a fear, fighting a fatal disease, decreasing depression or to help organizations in finding and retaining appropriate workers. Now there is a large range of professions available in the field of Psychology out of which the most preferred one for most people immediately after completing their education would be joining the Armed Forces of the country or some other government organization that use the services of a psychologist to test the aptitude and mental conditions of candidates while making recruitments. Next great employment opportunity is in the field of education as the subject of Psychology is taught in various degree programs so you can earn a handsome amount of money while spreading your favorite field’s knowledge. Book writing is another great career choice for Psychology students as they can write books on various topics like career counseling and human behavior which can earn them millions of rupee. If not a proper book, publishing articles in magazines and newspapers is also a good choice. Getting attached to some national sports team is also a career choice as most of these teams hire professionals of this field for helping players in boosting their morale and also overcoming any tension which is causing them the lack of concentration. Get attached with some organization and earn large amount of cash by sampling delivering counseling lectures or providing one to one counseling to employees facing some psychological issue. The last but not the least career opportunity for Psychology students is to work independently but for having success in private practice, you will need to have a couple of years experience and a very good reputation in the market. sir koi btaye k bs psychology k baad Ms k lye clinical psychology best rhy hi kia ??????????? ?